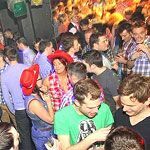 West 5 is a welcoming gay venue split into different areas, offering everything from a quiet night in to quiz nights, film nights, a piano lounge and a big party atmosphere. What did you think of West 5? Got taken to West 5 by a friend and we had a wicked time! When we walked in there was a huge drag queen show and lots of people having fun. Prices were ok and didn't seem to make a huge dent and the staff were really nice. If you want a fun night out with smiley people you can do no better than West 5! It's pleasing to read that the place is being refurbished. I used to go here alot, but because I've moved away, I don't go as often now. On the occasions that I have-either a Friday or Saturday night, I have been disappointed. The crowd is small and the place seems really rundown - it's freezing cold, smells damp and the furniture could really do with replacing. I think this place has so much potential and could be a really good night out if you're local. As I said, it's pleasing to read that refurbishment will happen and I hope to visit again soon. Went to W5 last night with my partner to check out the West London gay scene and we were pretty disappointed. It was a Thursday to be fair but we were the only gay people there at 9-10PM. The only others in the bar were a group of straight Ghanaians dancing to banging hip-hop and it was a really uncomfortable. I would not have felt comfortable showing affection to my partner in that place at all. The bartender was really nice but he seemed equally uncomfortable and said it was his first time working a Thursday and not what he expected. I had to ask him "is this actually a gay bar?" We won't be going again. Headed off to the Windsor Castle and had a nice time with friendly people and karaoke. The old manager has gone and the new one is really nice and friendly. But the place is terrible; it still has the same owner (Bal) who is a rude, slimey toerag. The barmen seem to be nice though, although I asked what drinks offers they had and they pushed the most expensive ones. The place needs an overhaul, a new website, clearer prices and a new owner! If you fancy a change - has anyone tried the new Re-opened Escape Nightclub in Kingston, Management are lovely, and really friendly, a few friends of mine both former members and new have been there since it reopened only a few weeks back, and said they have had a great time, not open now till Friday 13th :-( so I think I will try it out... new year... new venue Yay! Completely agree the manager treats the place like his own personal kingdom and is vile to anyone who has the nerve to challenge him. He refused to tell me who owns the pub when I challenged him. The format is still the tired music, drag you've seen a million times before followed by disco while the piano bar sits empty. Definitely needs new management. Great friendly bar with something for everyone. 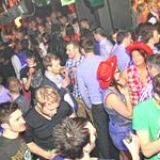 Bingo, quiz, dance floor, piano bar, pool room, karaoke! Friendly staff and no attitude - you always feel welcome. Jon, he is the manager and the worst manager ever. Rude, obnoxious and should be fired. Watch your step! Beware of a dangerous unmarked step down from one area of the club to another. As it was quite dark (and the step being unmarked) I fell here and sprained my ankle quite severley. In my opinion, W5 need to invest in a reflective strip or some signage to point out this hazard. I'm sure I'm not the only one who has taken a fall here. Don't let this happen to you. Hello Everyone !! i thought this club is good but after last night i change my mind... I went there with my friends and my girlfriend.. When we both went to the toilet and we got in two to the same cabin someone knocked the door n smashed the lock and hit my girlfriends head, arm and her back. When we got out we found out that that was a manager of the club. He started to scream at us that we can't go in together to the cabin. So we said that if they have that kind of policy they supposed to put that on the wall so everyone could read it.We are just thinking why that man was so aggressive? ?Where is respect 2 other people? Just want 2 tell u guys that club is not a good place for fun .... Go and u will see ! Thanks. Hopefully, you Jonathan (manager) will get sucked! You sound exactly like the type we try to escape when coming to W5! Keep your Pink Pounds where they belong, Zone 1. This place is a joy, flawed, friendly and human. Michael. Haven't been to this place for a while. Has so much potential, but please get rid of the damp smell and give the place a good clean ! Not being a smoker my mate and I decided to take a look outback. Again sweep the fag butts up and take care of the place, Everywhere u looked needed a good cleaning, as you go past the dancefloor and into a dead end u find the door to outside smoking area, i thought i was in a junk store. Finally u reach a nice garden area but again the smell and mess was un-acceptable. Bar staff very friendly and cute but this place is a gold mine if u can get the place cleaned up and freshen the pots of droopy peacock feather's !.We will return and give it a second chance otherwsie it's a no go place for us queerfolk, maybe the butch lesbians enjoy this enviroment but us classy queens with a few bob to spare will not give it a second glance. remember the 'Pink Pound!'. Plenty of it around to put into the right establishment. So Management Please pull your finger out and give it gocd clean.